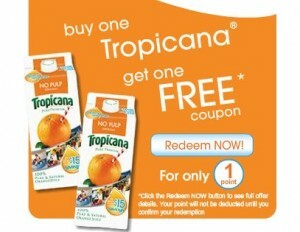 Home > Printable Coupons > Trop50 B1G1 Printable: 4/7 only! Trop50 B1G1 Printable: 4/7 only! If you are new to Juicy Rewards you can use these codes when you sign up to start out with some points. Use your points for discounts to museums, online shopping, printable coupons, or save the rain forest.